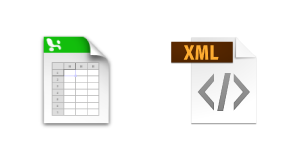 Use this tool to convert your Excel data into Adobe Illustrator compatible XML. This converter was created from Shan Carter's Mr. Data Converter. The option to convert to AiXML was added by João Faraco. Check out Cheryl Graham's quick tip on how to use Variables in Illustrator here.